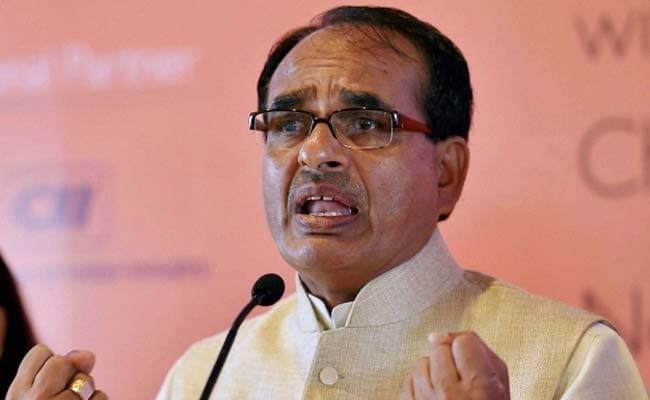 Bhopal: In a departure from the past, Madhya Pradesh Chief Minister Shivraj Singh Chouhan sported a saffron coloured turban and stole, while students of a University donned yellow turbans and same coloured stoles at a convocation ceremony here. Chouhan was the chief guest for the convocation ceremony. State Higher Education Minister Jaybhan Singh Pawaiya also wore a saffron coloured turban and stole, and in his address said Indian dresses will replace robes during convocation in universities across Madhya Pradesh in the next academic session. Madhya Pradesh Governor O P Kohli, who is the Chancellor of state universities, could not grace the first convocation ceremony of Atal Behari Vajpayee Hindi University due to health reasons. The girl students wore sarees while the boys were in kurta-pyajamas at the convocation ceremony. Wearing of gowns and hats during convocation ceremonieshas become a matter of debate in BJP-ruled Madhya Pradesh for quite some time with Pawaiya in the past advocating for Indian dresses in place of gowns and hats. In his address, Chouhan said the thought that English was superior to Hindi should be discouraged and a pride in knowing Hindi should be encouraged. Pawaiya said the subject of moral science will be included in the college syllabus. Around 156 students of the university were given degrees of graduation, post-graduation and M Phil during the convocation ceremony.